This is a 16"x 20" oil on canvas. Title: America after school. 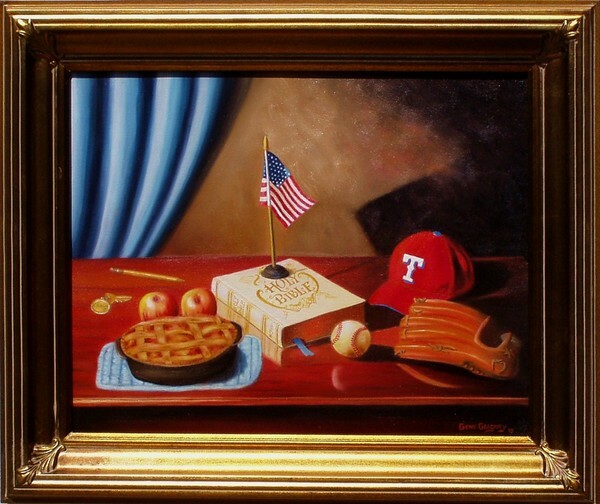 Oil on canvas Bible Baseball apple pie. You are so very talented, Gene! Love your paintings! Artist Reply: Thanks my friend... even old painters still appreciate a pat on the back now & then. Blessings!